I swear, I only went to the fabric store for a quick look, because the 40% off fabric sale was too good to skip completely. I was just going to get a yard or two of some low volume fabric to add to the stash. All but two of those are new additions. 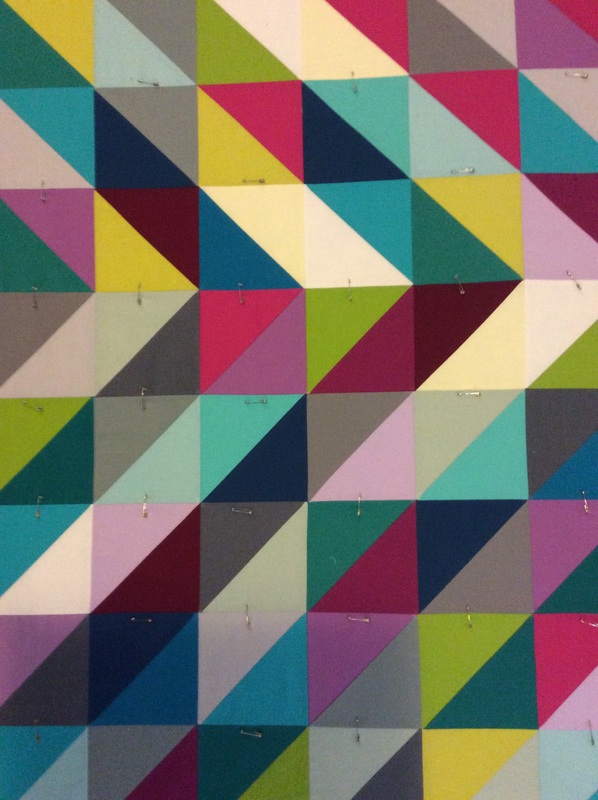 It is going to be a new quilt for the newly renovated and furnished living room. And despite how many quilts I have partially finished, I started in on this one right away. 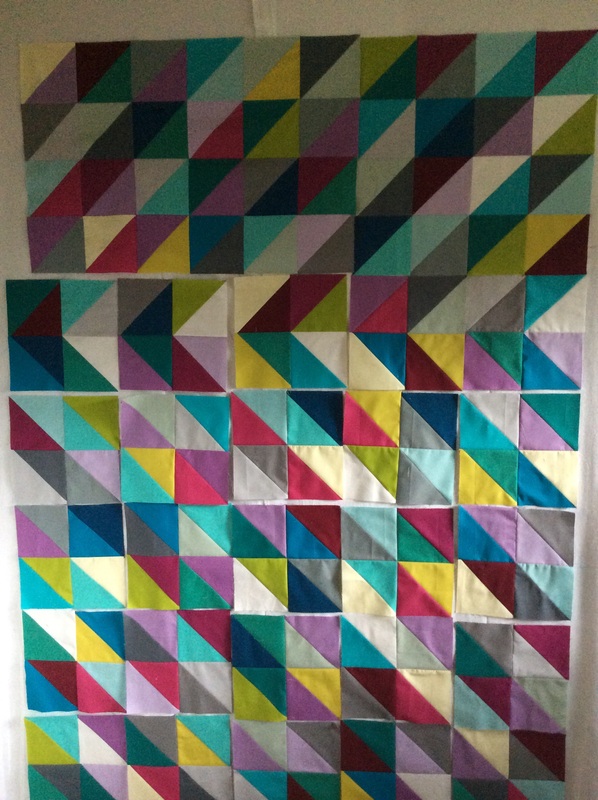 It is going to be a combination of 9” half square triangle blocks and 4-patch blocks. Grays, browns, and creams with golds to add some brightness. Finally sewing again! Block 16 for the red and white quilt is the most ambitious: a multitude of little half square triangles, each finishing at 1 and a bit inches in a block called Birds in the Air. 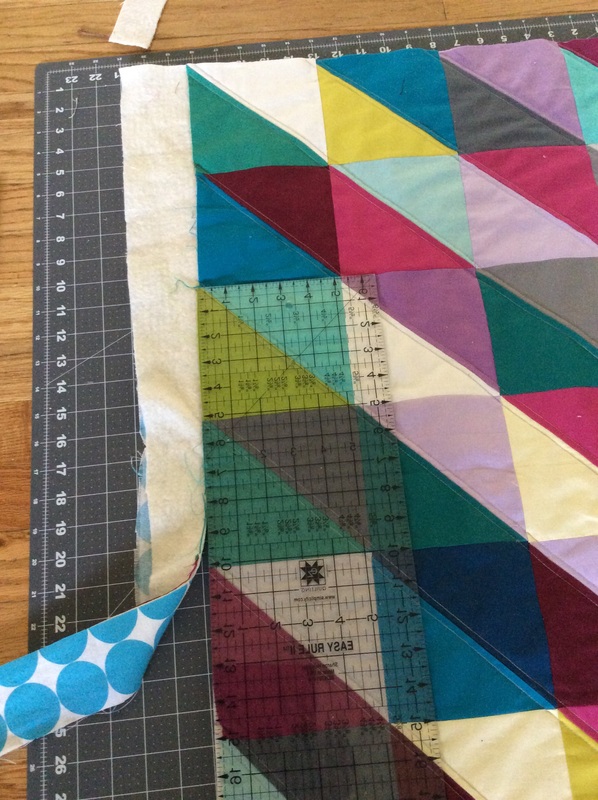 I used the 4-at-a-time HST sewing method, sewing the four sides of the squares before cutting them into quarters. 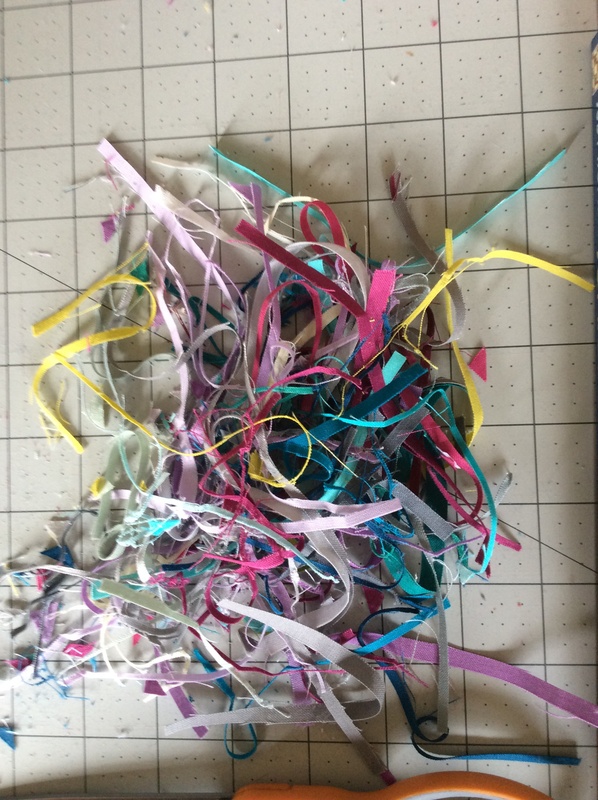 Many, many dog ears to trim! This is a 10 1/2″ block. I can’t imagine making it with the measurements the book gives for the 5 1/4″ or 7″ versions! You can see the previous blocks in these posts. 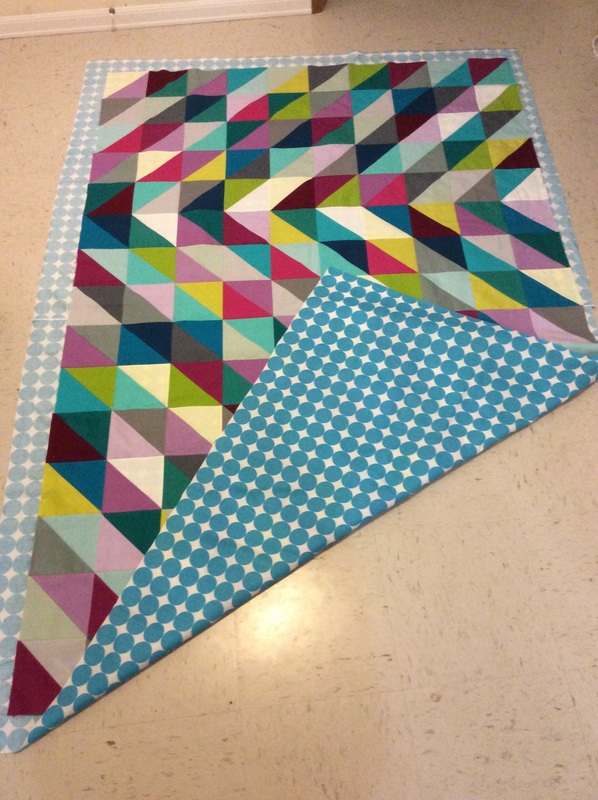 i haven’t accomplished a lot this week, but I did buckle down a bit yesterday (or rather put down the ebooks and took up the fabric) and finish up a quilt. 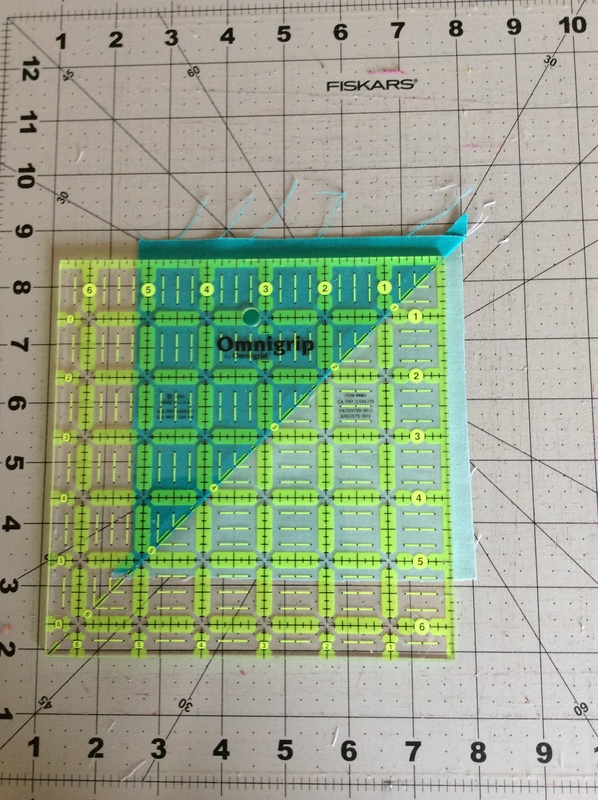 It is the pin basting that prevents me from getting more tops past the top stage to the quilting stage. Crawling around on the basement floor is hard on the knees. But when I’m actually doing it, I always wonder why I put it off. It isn’t as much of a chore as I build it up to be. 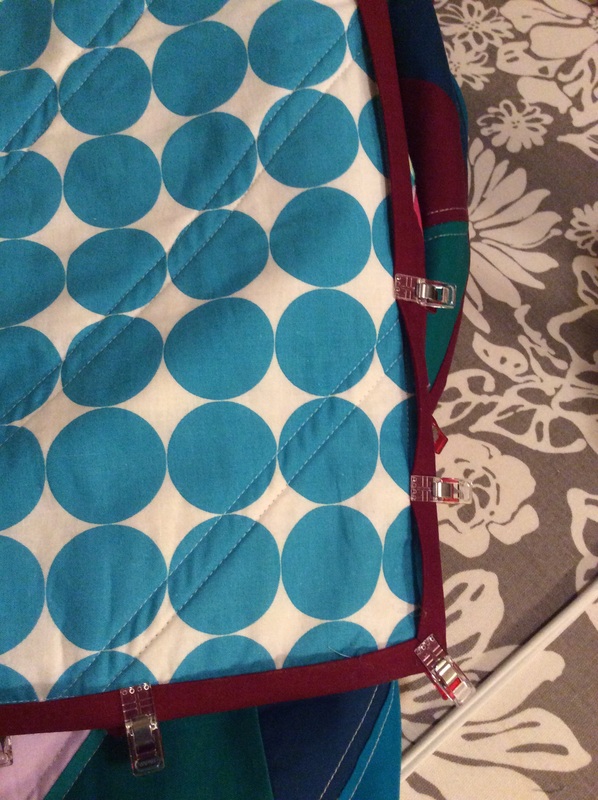 I wanted polka dots for the back to contrast with all the angles and straight lines on the front, but I didn’t find what I wanted in the colors I was looking for. But I like the teal circles on white that I did find almost as much as my original vision. I quilted it quickly and simply once the pinning was done, with parallel lines echoing the path of the arrows. Light gray thread on the front and white in the bobbin. There is a small amount of wobble in my straight lines – I’m never going to be the world’s most accurate sewer – but I like the emphasis it gives the angles. And now it just needs its first wash to add the crinkles and I can list it in the store! 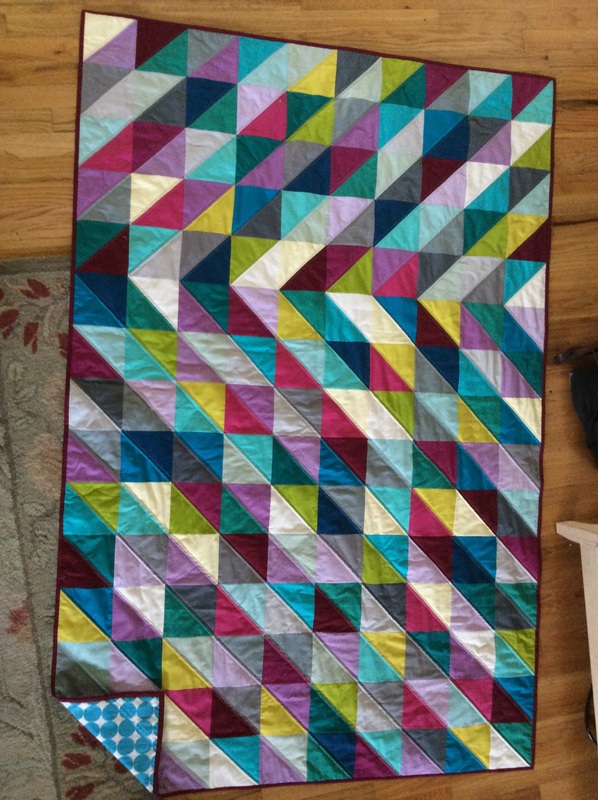 Posted on April 10, 2015 Categories QuiltsTags HST9 Comments on An actual finished quilt!